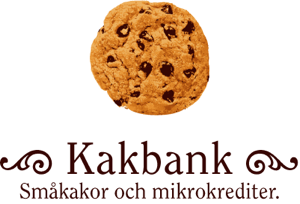 For those of us who live a little closer to the arctic circle, and both love cookie eating and microcredit lending to entrepreneurs in developing countries, there's the Kakbanken Umeå! If you don't like cookies but believe in micro-credit don't despair - we're open for you too! Take a look at our blog to see what is going on. to buy hair extensions and cosmetics. To buy notebooks, books, pencils, brushes and other supplies. to pay college fees to pursue further studies. Sometimes we receive updates from the people we lend to. Here's the latest one, from C9271 Abafiturukundo Group in Rwanda. Read more reports. Please feel free to email us at josefin at kakbank dot se!